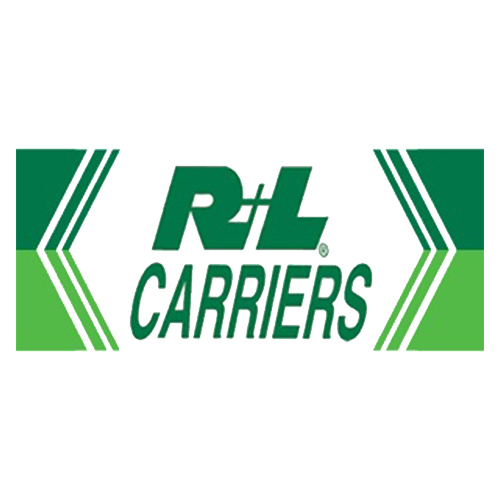 With more than 50 years of service, R&L Carriers has grown from a one-truck operation to more than 13,000 tractors and trailers. Family-owned and operated, Ralph L. Roberts made his dream of owning his own business a reality in 1965 when he purchased a single truck to haul furniture. The company grew with the purchase of interstate and intrastate authority, which laid the foundation for R&L Carriers. Today, R&L serves all 50 states, Canada, Puerto Rico, the Dominican Republic and several Caribbean Islands. Their global services also cover Europe, Africa, Asia, Australia and South America. 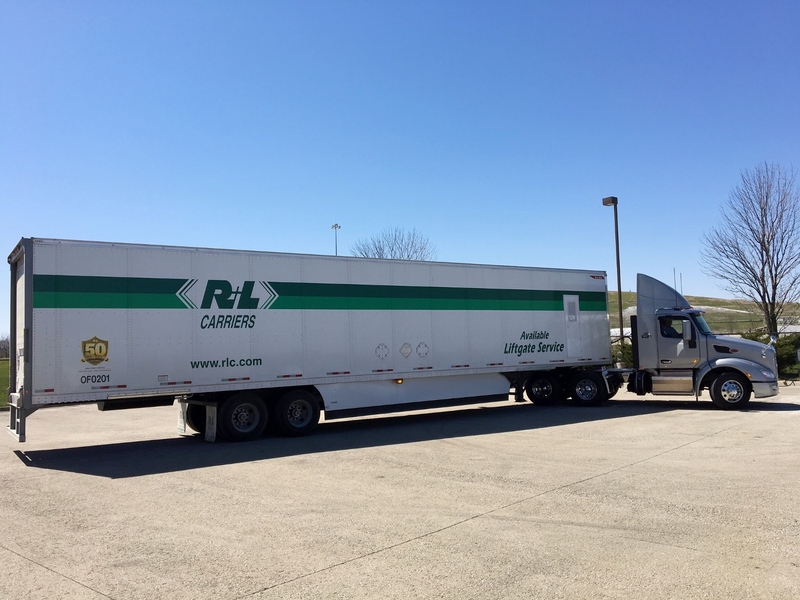 R&L LTL service extends to the entire U.S., including Hawaii, Alaska, Puerto Rico, Mexico and Canada. Guaranteed: Guarantees that shipments will be delivered by 5:00 PM on the standard scheduled delivery date, or the shipment is free. Expedited: Offers time sensitive, next day, weekend service, second day, team expedite ground, and 24/7. Guaranteed AM: Guarantees morning delivery (by 12 PM) on the standard scheduled delivery date, or the shipment is free. Weekend Express: Expedited shipping option for Friday-Monday shipping demands. Jet Express: Uses a combination of air and ground services to ensure speedy delivery. Can include dedicated equipment, same day, and priority next day shipping. Guaranteed Hourly Window: Guarantees that a shipment will be delivered within a specific time frame. Ocean Shipping: Assists with FCL (full container-load) and LCL (less than container-load) to ensure shipments are properly stored and safely moved to their final destination. Air Freight: Moves air cargo domestically and globally. Additional logistics services are available as needed. Customs Brokerage: Offers the full range of Compliances and Customs Brokerage services for international shipping. Warehousing: Comprehensive solutions for distribution, warehousing and order fulfillment needs. Trade Show Logistics: Domestic and international shipping services allow trade show materials to be delivered in a timely manner. Reverse Logistics: Offers the infrastructure and global network needed to manage reverse logistics requirements. White Glove Service: Includes packaging at pickup, multi-person freight delivery, debris removal, special delivery equipment, in-transit shipment consolidation. Supply Chain Management: Minimizes operational costs and expedites product flow. In addition to truckload service, R&L offers intermodal/rail service. Custom Crating: Packing, shipping and moving services. Load & Protect: Maximum protection and security for shipments. Online Tools: Includes rate quotes, bill of lading, pickup request, service maps, shipment tracing, transit times, service points and density calculator. Electronic Data Interchange (EDI): Allows customers to exchange freight shipping documents with R&L. In Cab Scanning: View receipts and bills of lading within just minutes of delivery. Freight Software APIs: Allows businesses to integrate R&L’s shipping tools into their website or software to streamline shipments. Real-Time Shipment Notifications: Provides email notifications to monitor shipments. Customer Service: Customers can contact R&L via website, telephone and social media. Class A drivers are responsible for City P&D and/or Linehaul runs. Class A OTR drivers will be responsible for moving trailers between Service Centers and/or turn-point locations. All team drivers are on the road five days and home for two days every week. Class B drivers are responsible for city pick-up and delivery as well as loading/unloading trailers as needed. Class C drivers are responsible for city pick-up and delivery as well as loading/unloading trailers as needed. Job openings are available all across the U.S. Because R&L is family-owned and operated company, home time is prioritized to ensure that employees get to spend valuable time with their families. Some areas will pay drivers more, such as in California, where the average hourly salary is $25.76. 3 employee benefits that offer exclusive use to R&L employees and their families. Employee contests with vacation packages and cash awards based on teamwork and performance criteria. R&L has three employee resorts. Employees and their families are encouraged to spend their vacations at these resorts free of charge.